The above article promotes 1410 nm fractional laser as a temporary effective procedure in the treatment of melasma. The key word is ‘temporary’. Like most clinical trials for melasma interventions, the followup period is (?intentionally) kept low. In this case the authors have accepted this limitation in the conclusion. What interested me more in this study is the incidental finding. Fractional laser at low coverage (5%) is better than more coverage. This is probably because of the reduced risk of post inflammatory pigmentation a common problem with darker skin types and more intense laser platforms like the Q-switched ones. I was wondering whether a fractional q-switched technology would be better for the treatment of melasma. I did a google search and found such a system actually exists. The manufacturer says their Q-switched fractional technology is unique in the world. (They all do, but the claim may be true in this case). In line with my blogging convention, I cannot reveal the name of the platform, but the readers can easily find it by googling “fractional q switched laser”. I am just curious to know whether anyone has practical experience with this platform. Please do comment if you have, referring to the platform by the acronym ‘fqsl’. Is it possible to reduce the risk of PIH with a non-fractional laser by having gaps between treated areas? Yes I am using the fractional qs laser that has been mentioned. Looks like we don’t name brands here so I won’t say. But it is definitely better than the normal qs ndyag laser. 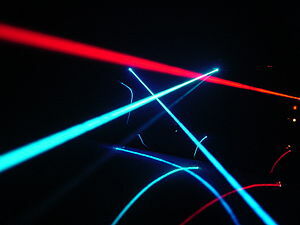 I have used 3 qs lasers in last 10 years. Am using the last since last 2 years. I have 2 now at both my clinics and am very happy with that. However specifically in melasma I won’t be able to comment on efficacy. But yes the problem of hypo pigmentation which was big with qs laser is not there with fractional version. Also the treatment is relatively painless. I love this new fractional laser. Hey guys I just realised that you people are discussing the fractional 1410 nm. Am sorry that my previous post was about fractional qs 1064nm laser. Please correct me.